A quick shot of my Ice Planet magnifigure atop a makeshift snow terrain, in front of my celestial matte painting. I took two different takes with the desired pose: the first was without real ice, and the second one used real ice shavings. 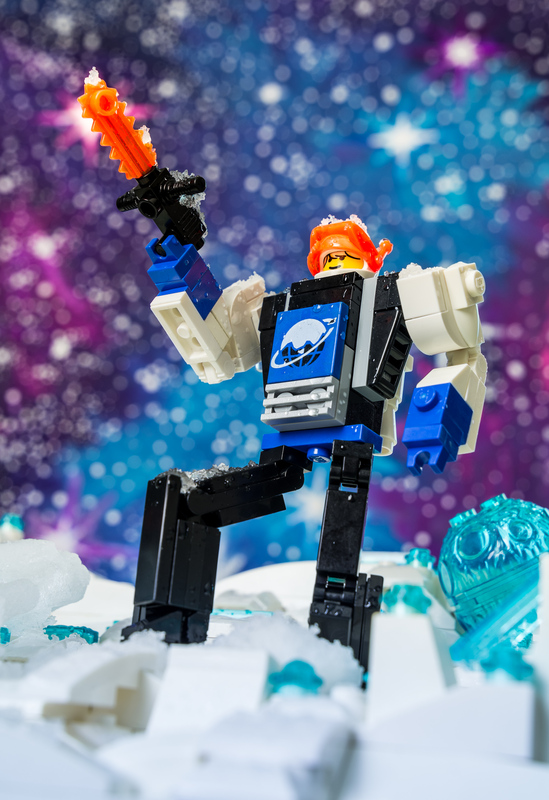 After I achieved my desired pose and lighting, I grabbed several chunks of ice from my minifridge, then shaved off pieces of icy debris onto the figure. Unfortunately, most of the ice quickly melted upon making contact with the scene, so what you see here is the best take with the most ice unmelted. This was also taken with an ultra wide angle zoom lens, instead of my typical macro.